"Do like the Romans...drink Catalan wines. The diversity of the wines produced in Catalonia ensures that we never tire of the local wines. An intense and full-bodied red from Empordà or Priorat one day, a crisp dry and beautifully sparkling Cava from Penedès the next. Add execptional sweet wines made of autochthonous grapes, pretty pink rosés, and round and flavoursome whites, and you will find the perfect pairing with the equally diverse and sophisticated local cuisine." Wine has been part of the Catalan culture for over 2300 years. Both the Greeks and the Romans planted vineyards here during their colonization. In later years, the culture of vine grew strong around the Benedictine and Carthusian monastries. In the 18th- and 19th century the wine industry become a driving force for the country’s economy, up until the phylloxera epidemic killed off most of the vines in Europe. Today the Catalan wine industry is enjoying another high, and the local winemakers are in constant search of great wines. A long tradition has been enriched by creative ideas and modern innovations. The vineyards of Catalonia covers varied landscapes, microclimates and grape varieties, which results in an exceptionally diverse range of wines. The coastal zone of Catalonia, where many of the vineyards are situated, enjoys a mild Mediterranean climate. Traveling inland, the climate becomes more continental, with hotter summers and colder winters. In the northern regions, along the French border, the Pyrenees mountain range dominates the landscape, and mountains hem in the Mediterranean cost all the way south. In the northernmost part of the Catalan coast, bordering with France, a small but beautiful wine district is squeezed in between the Mediterranean and the Pyrenees. Contrast is the best way to describe DO Empordà, the oldest winemaking region of the Iberain Peninsula. Divided in Alt (high) and Baix (low) Empordà, the region nowadays produce a great variety of wines. The red wines are high quality, full-bodied, and harmonious, often dominated by Carignan (Samsó) and Garnacha Tinta (Lledoner). Fresh and flavoursome white wines are elaborated with autochthonous varieties like Garnacha Blanca and Macabeo. Rosé wines are also produced with a well-defined cherry colour and a delicate aroma. A speciality of the area are the dessert wines, the Garnatxa de l´Emporda, and the Moscatell de l’Empordà. Another curiosity is the Mistelles, a wine produced from over-ripe grapes. On Coasta Brava the home and the museum of Salvador Dalì can be visited, and the popular coves along the coast are filled with tourists every summer. Right in the middle of Catalonia, at the eastern end of the Central depression and encircling Manresa, an island of wine growing lands is found. On the southern border of the district, the emblematic mountain of Montserrat towers into the sky and attracts many visitors throughout the year. The mountainous microclimate, with sharp variations between hot and cold temperatures, scarce rainfalls, and very poor soils is the cause of low yiels of great quality grapes. The red wines are fruity and with a good aroma, traditionally made with tempranillo (ull de llebre) and sumoll, and aromatic and fresh whites result from the autochthonous piquepol (picapoll). With the arrival of Manuel Raventós in 1914, the development of the wine industry in the region took a great leap forward. The owner of Cordoníu aquired the land of Raimat, close to the regional capital of Lleida, and started growing grapes for the Cava production. Since then new projects run by first-rate winemakers and innovative technology has further lifted the quality of this diverse region, and the wines originating form here are today as varied as the landscape. Due to the harch continental climate, with marked contrast in temperatures, and low rainfall, grape varities with a longer maturation are well suited, and the vineyards are dominated by macabeo, monastrell and cabernet sauvignon. Historically, this tiny zone on the northern outskirts of the city has supplied wine to the rich and the mighty in Barcelona for centuries. For this reason, and due to the quality of the wines produced, the vineyards has survied the urbanization along the coast of Maresme. The mountain range of La Serrada protects the vineyards from the cold northern winds, and condensate the humidity from the sea, creating a microclimate so important to the character of the wines from the region. The most typical wines of Alella are dry and sweet white wines, made of the local grape Pansa Blanca, and often blended with Chardonnay or Sauvignon Blanc. According to the historians, it was the knights of the Order of the Templars that introduced vines and winemaking to the region. The medival wall, with its many torrents, surrounding the regional capital of Montblanc, could stand the model for any storybook for children featuring knights and princesses. On the border between a milder coastal climate and a harsher continental climate, the region enjoyes and interesting microclimate perfectly suited for growing grape varieties like Macabeo and Parellada for fresh light white wines, and Tempranillo and Grenache (Garnaxa) for silky soft reds. And the importance and popularity of the autochtonous Trepat is constantly growing, and resulting in unique rosés and light reds. The home of SweetEasy Winetours, and one the most diverse of the winemaking regions of Europe. Penedès is Catalonias most productive regions, and with the combination of tradition and innovative wine makers, it has reached international acclaim. Mostly known for white wines made of the local grapes used in the Cava production - Xarel.lo. Macabeu and Parellad, silky and aromatic red wines are gaining in popularity. The region is also the main producer of the sparkling wine Cava, but as most of these fall under D.O. Cava, it's a diffrent story. 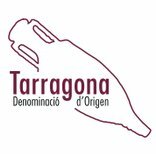 Already the romans exported wines from their settlement Tarraco (today the city of Tarragona) across the Mediterranean. Tradition and innovation are working together in the making of the wines of the region, resulting in soft and delicate whites and balanced and flovourful reds. This large wine region, extending on both sides of the river Ebro, and along the coast of Tarragona, offers an interesting variation in terroirs, all enjoying a gentle coastal climate. Surrounding the more well know Priorat, Montsant is rapidly gaining in popularity thanks to ingenious winemakers and old vines. The poor soils, and scarse rainfall, results in a very low yield of highly quailitative grapes. The majority of the wines originating in Montsant are powerful reds made of Grenache (Garnaxa) and Carignan (Samsó), sometimes blended in smaller percentages with international grapes like Syrah, Merlot and Cabernet, or with Monastrell (Ull de llebre). But also interesting whites obtained from Macabeo and white Grenache (Garnaxa blanca) are found is this the youngest D.O. 's of Catalonia. 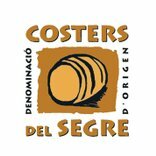 The prestige of the Priorat is recognized with the highest quality award - Denominació d'Origen Qualificada. And the wines of Priorat are defintely woth this accolade, they are truly amazing, complex, elegant, rounded and original. Before the revolutionary development of the region during the 80s, this poor rural comminity went unnoticed in the prestigious wine world. With the arrival of the Big Five, internationnaly acclaimed winemakers, the unique potential of the region was rediscovered by a growing number of afficionados and wine makers alike. The slate based soils, locally reffered to as Licorel.la, and the harsh climate with sharp thermal oscillations between day and night, result in a very low yield of high quaility grapes grown on steep hills and man-made terraces. The main grapes of the region are the Carignan (Carinyena or Samsó) and red Grenache (Garnaxa negra). The small quantity of interesting whites are mainly made of the white Grenache (Garnaxa blanca). The most southern wine region of Catalonia is located between the river Ebro and the boder with Aragón. It's the dominion of the white Grenache (Garnaxa blanca), a grape that is prefectly suited to the local terroir: the dry Mediterranean climate with a strong continental influence, the winds of Beings and Garbinada, and the poor limestone soils dominating the terraces where vine is grown. All resulting in whites with lots of charachter that has gained their unique quality branding: Terra Alta Garnaxa Blanc. But here three different varities of the red Grenache is also found: Garnaxa peluda, Garnaxa negra, and Garnaxa tintorera. The origin of Cava is found in the splendour of the mid 19th century, when a group of prominent Catalan winemakers started making sparkling wines according to the traditional method, or "mêthode champenoise". Originally marketed as "champán", it was renamed Cava in 1972. The denomination of origin for Cava is not limited to Catalonia, but of the 156 municipalities approved by the regularatory authoroties, 132 are located here. Around 95% of all Cava is produced within Penedès, and the nucleus is Sant Sadurní d'Anoia. Although many grape varities are approved in the making of Cava, the most prominant are authoctenous trinty of Macabeu, Xarel.lo and Parellada. Breaking with the traditional Spanish structure of the division of the wine regions into geographically limited and clearly defined areas, Catalonia created a macro-denomination in 1999. Regardless of initial critique, the wines of D.O. Catalunya fast achived a great sucess in the market. The diversity of the grape varities authorized encourage experimentation, both in the fields and in the winery, and the wines of D.O. Catalunya has gained a reputation of being both innovative and of high quaility. A quick introduction to some of the wonders of Catalonia - book a date to discover them first hand! Let's start planning your wine tour in Catalonia. Welcome to contact us!